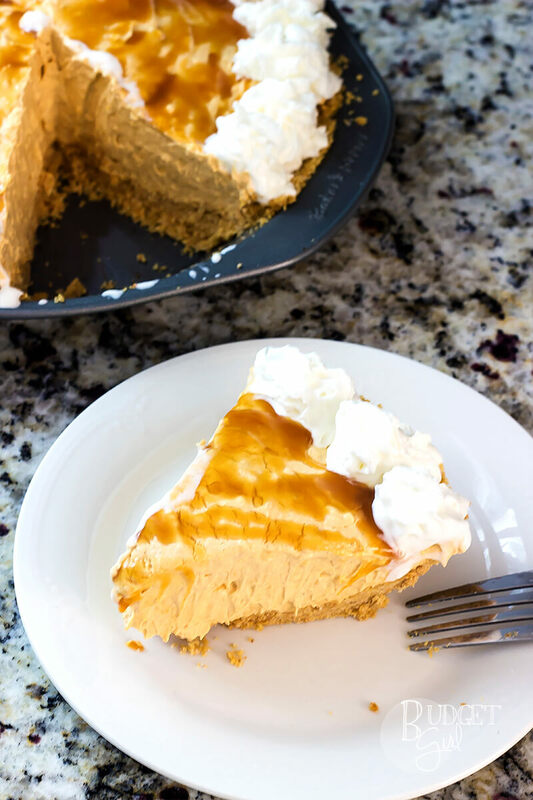 This easy no bake caramel pumpkin cheesecake takes about 10 minutes to whip up. Your fridge does most of the work. 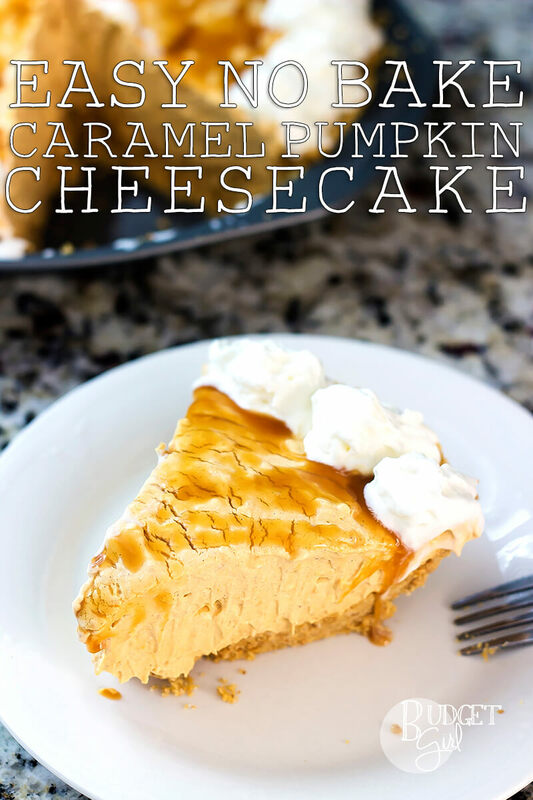 Last year I posted a recipe for a pumpkin cheesecake with brown sugar streusel, but this year I wanted to try a no bake option. 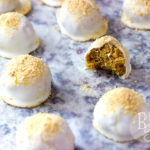 I actually got the base of this recipe from this pumpkin fluff recipe and then went from there. Turned out to be really simple. Let’s move on to the recipe. Step 01: Whip the cream cheese in a large bowl. 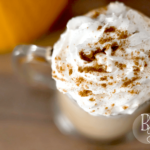 Then add the pumpkin, Cool Whip, pudding mix, butter, and pumpkin pie spice. Step 02: Pour the mixture into a 9- or 10-inch crust. 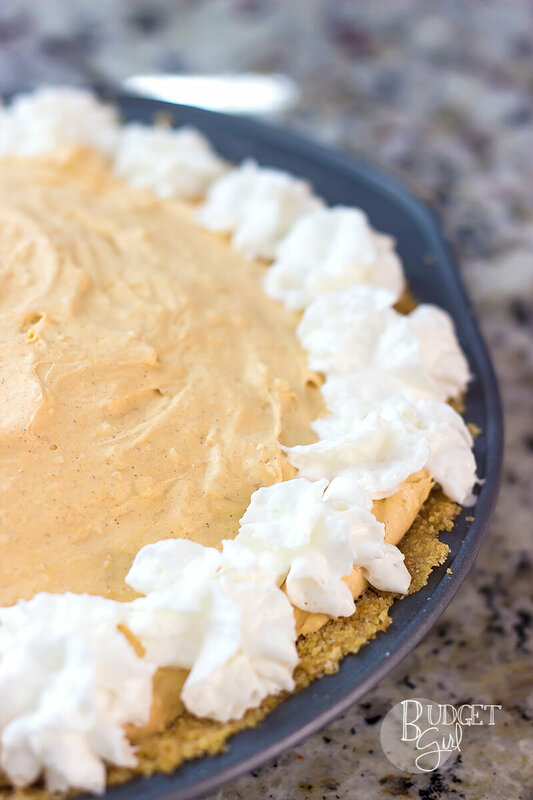 Step 03: Let the pie chill in the fridge for at least 2 hours. 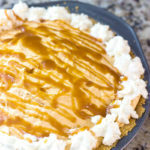 Add the caramel topping after the cheesecake has chilled. 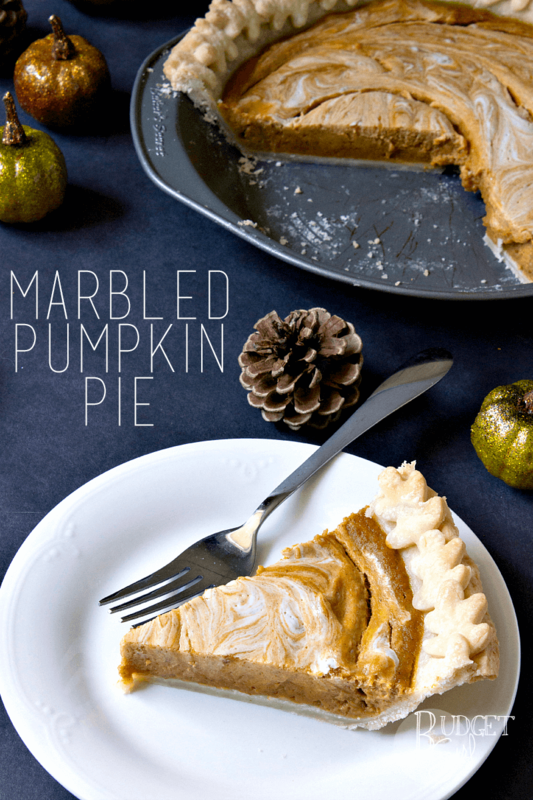 Serve with extra whipped cream, if desired. 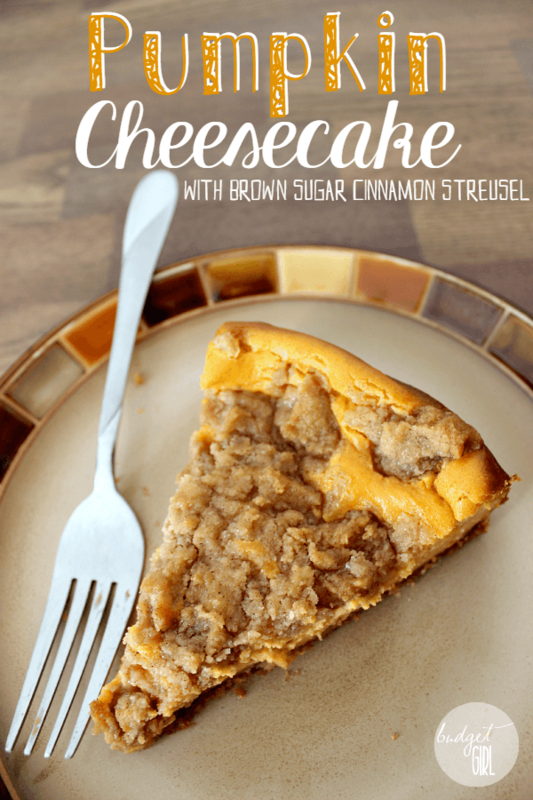 Last year’s cheesecake was amazing, but you can’t beat an easier no-bake option, right? This was awesome and I’m hoping to make it again this year.